What purpose does observing a Road Safety Week serve? Shouldn’t it be a Decade of Road Safety? I don’t know whether you noticed, but this year we witnessed a momentous occasion. 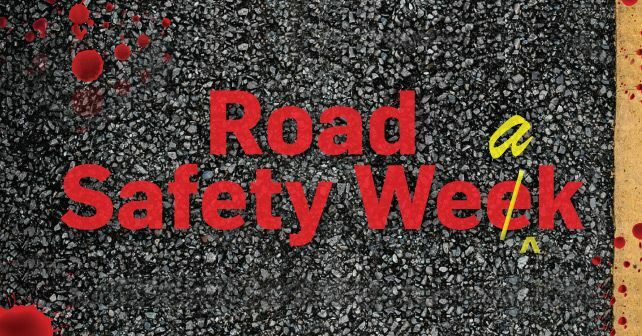 It was the 30th Road Safety Week that was ostensibly observed, between February 4th to the 10th. It was a historic opportunity, no doubt, for our various national, state and quasi-government bodies to affirm solemnly their commitment to making India’s roads safer. The list of events that were held under the aegis of the 30th National Road Safety Week included a high profile session in New Delhi, attended by our well-meaning Union Minister of Road Transport & Highways and our Minister of External Affairs. Decent speeches were made and all the formalities were ticked. Other activities across the country included essay writing competitions for children, putting up of educational banners and posters, screening of films and the distribution of literature, including specially designed comics for children. The third iteration of a nine-month long campaign in schools and colleges was also initiated. Not to be left behind when such historic opportunities present themselves, carmakers also threw some good marketing money around to proclaim their newfound commitment to safety. It’s another thing that additional safety norms are being activated from this April onwards. This is forcing their hand to make cars safer, but still, their dedication towards safety using slick hashtags and glib videos was touching… for about a week. Another year, another Road Safety Week done. We should all congratulate ourselves for a job well done and pat ourselves on our collective backs. We have set the standards for what a Road Safety Week should be all about. Next year, same time, we’ll perhaps find it difficult to better our speeches and to think up a few new slogans, posters, banners, literature, safety films and clever road safety messages brought to you by your favourite car brands. During this time, there were several fatalities and severe injuries caused by all sorts of crashes all over the country. Yes, in other words, people died on our roads across all four corners of this vast land. Many were injured too. Among them, even a minister from Tripura. Speaking of which, the honourable elected representatives from Pondicherry smashed helmets on the road because the people who voted for them prefer to smash their own heads instead of wearing helmets. And so on and so forth – the grisly, the outrageous, the bizarre, the plain stupid and the completely avoidable events that unfold on our roads and highways every single minute. Road Safety Week be damned. This is not to belittle or denigrate the effort that goes into holding a nationwide, week-long event. It’s a well-meaning exercise, it does raise awareness about the need to inculcate safe driving and riding habits and I’m sure at least someone gets the message communicated in that banner or poster. The campaign involving young Indians is perhaps the most important of all the activities associated with the Week. Yet I feel that the nodal ministry, which is MoRTH, should introspect whether holding this is having its intended objective. Can anything as critical or as important as road safety be attained in a week? Or even 30 weeks? Even if you have raised awareness, has it made any difference to us as road users? Have our road fatalities and injuries reduced? Have we become better road users? Do we understand the importance of obeying road signs and observing discipline? Importantly, has our attitude to safety changed? Well, the answer is pretty obvious and it’s not very encouraging. If MoRTH really wants to make a difference, it should be a sustained programme lasting for AT LEAST a decade. It has to be an all-round programme and it should include not just schoolchildren and the people at large, but our elected representatives too. The messaging and actionable points on Road Safety have to be reinforced every single day for years on end. A perfunctory ritual lasting a week every year is just that.